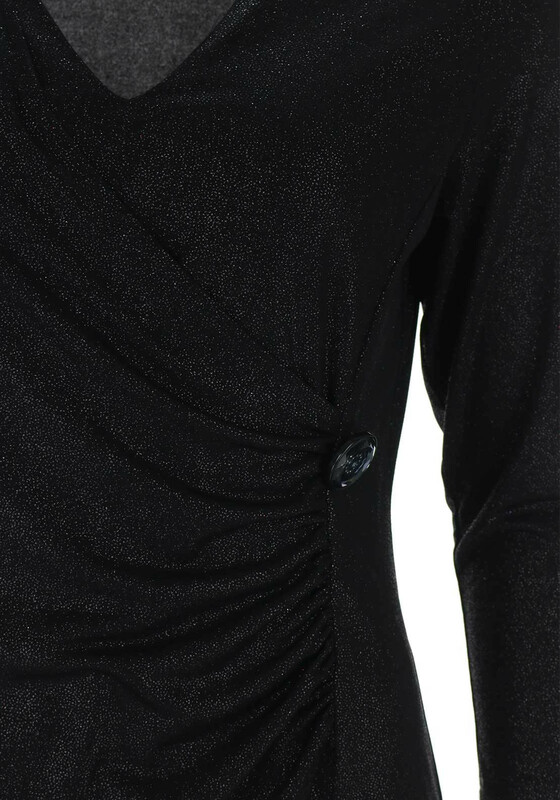 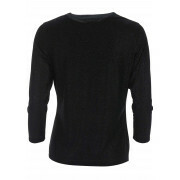 Sparkling and stylish, this black top would be a glamorous choice to wear with trousers or a skirt for an upcoming party or evening event. 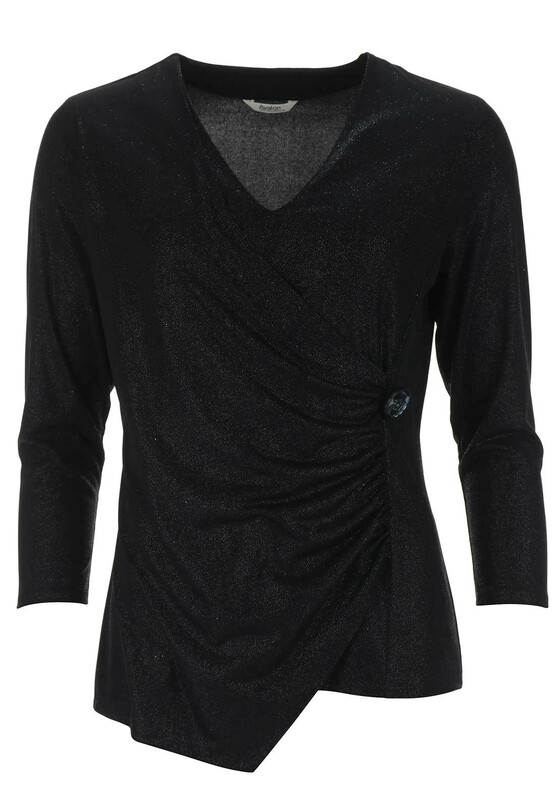 Crafted from shimmering lurex jersey fabric and designed with long sleeves and a flattering wrap over shape on the bodice. 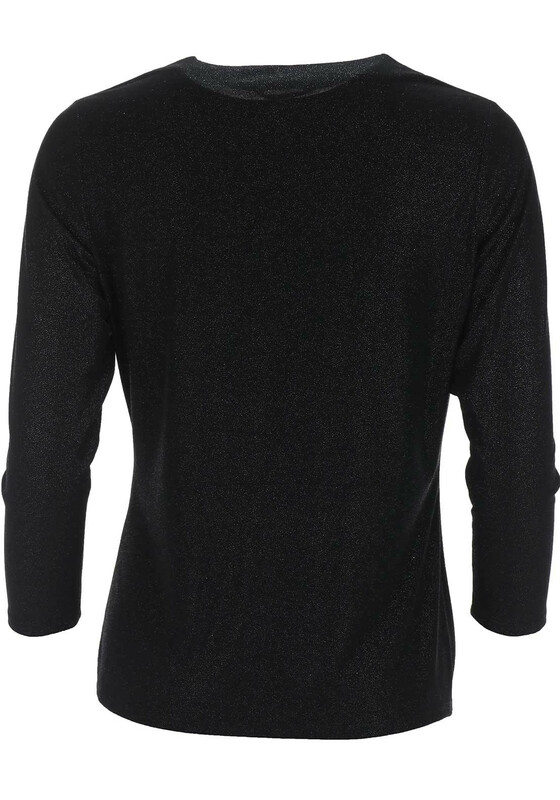 Finishing touches include a V-shaped neckline and button detail at the side.